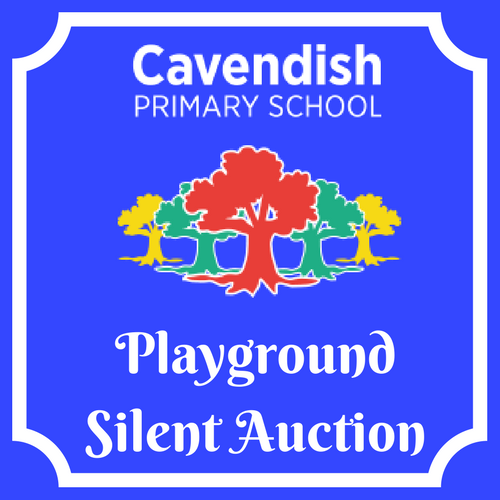 Cavendish Primary School are working on raising funds to transform an ageing playground into an engaging play environment that inspires and encourages physical activity for many years to come. We have partnered with some AMAZING businesses who have all kindly donated some wonderful prizes to get us all ready for the warmer weather! Gymboree Play & Music Chiswick offers fun and educational Play & Learn, Music and Art classes, as well as unique Sensory Baby Play classes for pre-mobile infants. 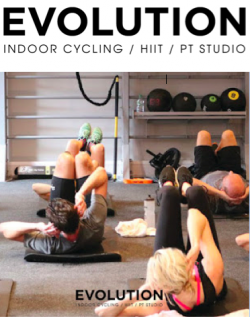 All of their classes are run at the beautiful and centrally located Chiswick Town Hall, Heathfield Terrace, London, W4 4JN. 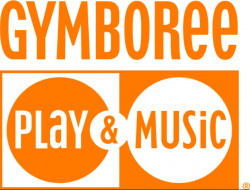 This voucher entitles the winner to 1 class per week for a month at Gymboree Chiswick. Enjoy 3 magical weeks of class at The Little Dance Academy! We provide imaginative classes with an emphasis on fun and aim to foster a love of dance in all of our students. We offer Ballet, Tap, Hip Hop, Modern and Drama for children aged 16m + whichever class is up to your little dancer! A 4-week taster of mindfulness for mums, including simple techniques for breathing, visualisation and tuning into your senses. This course is about how to be more present in your everyday life - as a mother, as a woman, as yourself. 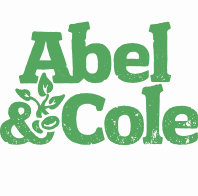 Abel & Cole deliver organic, ethically sourced produce straight to your door. They truly care about what you eat and where it comes from and it's what gets them out of bed in the morning (and what helps them sleep at night). This prize is a £50 voucher which entitles the recipient to £50’s worth of goodies from their online store. 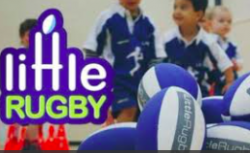 Little Kickers has four different football classes each tailored to a different age group. However, we have two core beliefs that we take into every session. This prize entitles you to a 6 week course for your child. 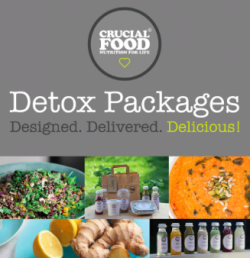 This detox includes a combination of solid food, juices and soups. It's a good introduction if you haven't done a detox before. The benefits of Food and Juice are that it gives your digestive system a rest and is a gentle introduction as you nourish your body every 2 to 3 hours, so you should never feel hungry. This cleanse is mostly liquid and therefore some people may find it more of a challenge. However it’s highly nutritious and filling, containing 7 elements each day which reduces the chance of cravings and hunger occurring. The benefits of Juice and Soup are that it gives your digestive system more of a rest and floods your body with nutrients that are easily absorbed and put to good use almost immediately. This is available in a 3 day package. Milly Madness Entertainment (MME) was founded by Milly in 2013 after the birth of her first child. With all her years of working in the children's entertainment industry, Milly decided to take the leap and start an entertainment company with a difference. By using a tried and tested party plan combining elements that most children wanted at the events, Milly's diary soon became very full! 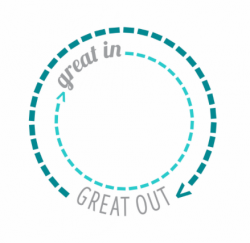 It was not very long before Milly was turning away more work than she was taking on and decided to carefully choose a small group of Madness Makers to join her team with the ethos that children's happiness, not profit comes first. We are all dedicated and ready to offer you and your younger guests an event like no other. All of our entertainers are experienced within the industry and have been personally trained by Milly Madness to be the absolute best entertainers that they can be. All of our entertainers have Public Liability insurance and hold sufficient background checks. Rest assured you are in safe hands with us. The perfect gift to give someone or just a little something to treat yourself. Cut flowers or plants to the value of £20.00 every month for 12 months. 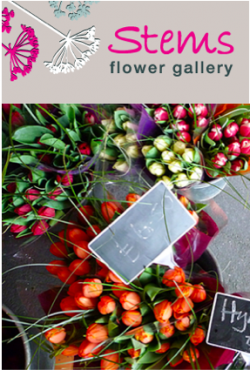 Stems Flower Gallery undertake all areas of floristry, large and small. They create beautiful hand tied bouquets for every occasion. Providing a personal, bespoke service to guarantee that you will have the perfect flower arrangement. The basis of health coaching is nutrition, though we consider all aspects of life, to help clients regain optimal health. I work with my clients to identify achievable goals and put together a plan to achieve their own health goals - whatever this means for this person. We work around your lifestyle (work, family, health circumstances) and focus on practical tools to achieve our overall goals. It’s a step by step process, and by establishing new habits one at a time, you achieve lasting changes. DoTERRA diffuser, as well as a set of 3 oils - Lavender, Peppermint and Lemon, plus a 1-hour consultation about the power of essential oils. 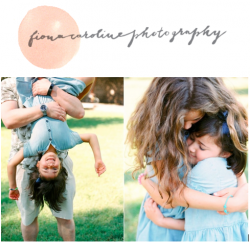 Who is Fiona Caroline Photography? The voucher is valid until 31st December 2018. 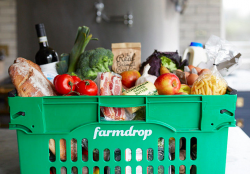 Farmdrop is an online food delivery company that distributes foods to consumers that is sourced from local farmers and fishermen. The company provides farm-to-table foods and fresh fish for consumers in the London, Bristol and Bath areas. You can buy boxes or individual groceries. 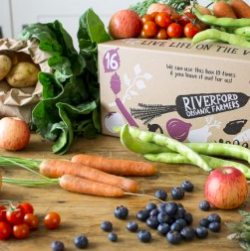 Most of your veg is grown on our Riverford farms or by other UK farmers in our grower groups and farming co-op. We bring some crops in from overseas to give you a good variety all year round (never by airfreight). Our medium original fruit and veg box is brimming with 6 organic veg varieties and 3 types of freshly picked organic fruit. From the essentials like potatoes, carrots and onions, to seasonal treats such as crisp mini cucumbers and juicy berries; the contents change every week, so you’ll always have something new to try. Seasonal, fresh, and delivered free to your door – eating well is easy with a veg box. Location: 4 Kew Green, Kew, Surrey , TW9 3BH. A choice of one of the below massages in the comfort of your own home. 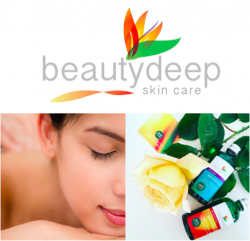 Deep Tissue Massage focuses on the deeper layers of muscles and connective tissue. It is used for chronically tight or painful muscles, repetitive strain, postural problems or recovery from injury. 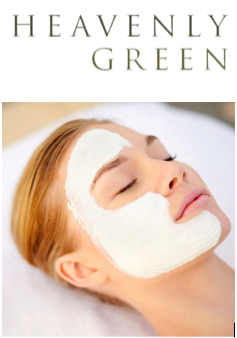 Warm Bamboo Massage is a powerful treatment and has the ability to both relax and re-energise. This unique massage involves using heated bamboo sticks of various shape and sizes to knead and roll out knots and relax tense muscles. The therapeutic effects of Warm Bamboo Massage last long after the treatment is over and the results are incredible. Pregnancy Massage focuses on giving the mother to be the special attention she needs which helps to nurture the new life that is growing within her. Pregnancy massage is great for relieving muscle tension as well as aches and pains. Lymph drainage helps to clear swelling in the hands and feet and both anxiety and blood pressure can be reduced. Remedial Massage holistically treats the whole body and traces the discomfort as far as possible back to the original cause, healing both the cause of the disorder as well as the symptoms. When muscles and tendons become damaged, knotted, tense or immobile, Remedial Massage provides a healing treatment. Specialised techniques are used to locate and repair damage and to support and speed up the body’s own repair mechanism. Location: In your home - individual will have to live within 3 miles of W3 postcode and be able to book from Monday-Thursday. One hour of either a dynamic or restorative stretch class at the home studio of Yogami Instructor Ami. 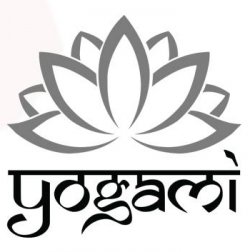 "Absolutely love Ami’s Yoga class - perfect balance of dynamic and challenging poses with great restorative stretches. Her Yin class is terrific too and results in great sleep. Highly recommend!!" Location: Chiswick, Turnham Green tube station anytime between 10-3pm. 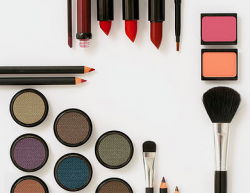 Wearing the right make-up is just as important as wearing the right clothes. I don't think you have ever heard of me before.. Here I am. I am an Italian artist based in London. I grew up with passion for ARTS, starting drawing when I was a teenager. Then the life took me somewhere else, so University, moved to London for a Master and then got a full time job related to what I studied; which I liked. However 4 years ago I felt something was missing. I bought my first canvas, few colours and some brushes. Since then I have not stopped Painting. 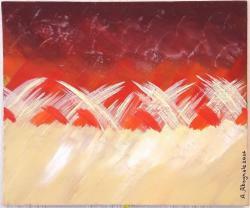 I describe my self as Impressionist/Abstract Painter. I create on Canvas what I see around me on my own way and how I would like to see them. I also believe that everyone see something different in every Piece of Art. In September I did my very first Exhibition in London at the "New Artist Fair".